demanded proof that Jesus was real. grip of fear, rejection, hopelessness and despair. shattered but then . . . . JESUS!" of childhood, spousal, or societal and legal abuse. Each book ordered from us will be signed by the author so please include the name of the person you want it addressed to. We know many books sell for less then this but please remember, most of those books are by well known authors and tens of thousands of them are printed at once thus reducing the cost per book substantially This book is a "print on demand" which results in a much higher price per book. 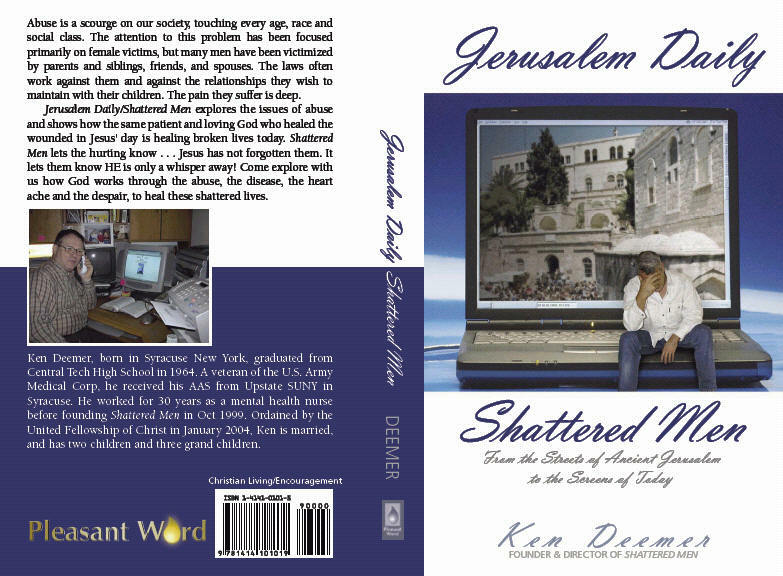 I assure you that any proceeds above the my personal cost of this book will be used for the Ministry of Shattered Men.